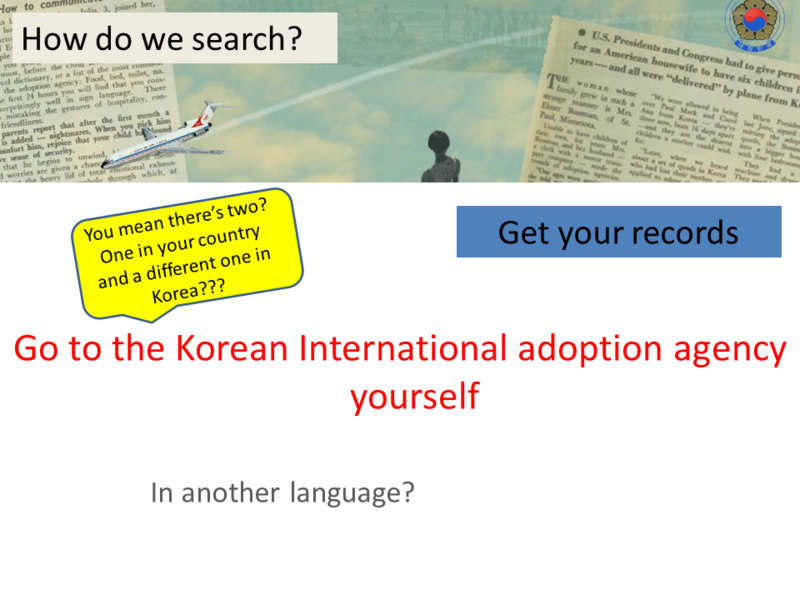 Older adoptees – Hello Korea ! I was asked to give a speech at GOAL’s Post Adoption Survey final forum on the topic of adoptee identity from an older adoptee’s perspective. I thought I’d share it here. I don’t remember where I got all the images. If you’re an image owner and protest its use, I will gladly take the image down. For the first waves of adoptees, we were scattered across America, predominantly to small towns. These were insular communities, unaccustomed to and fearful of foreigners and devoid of people of color. 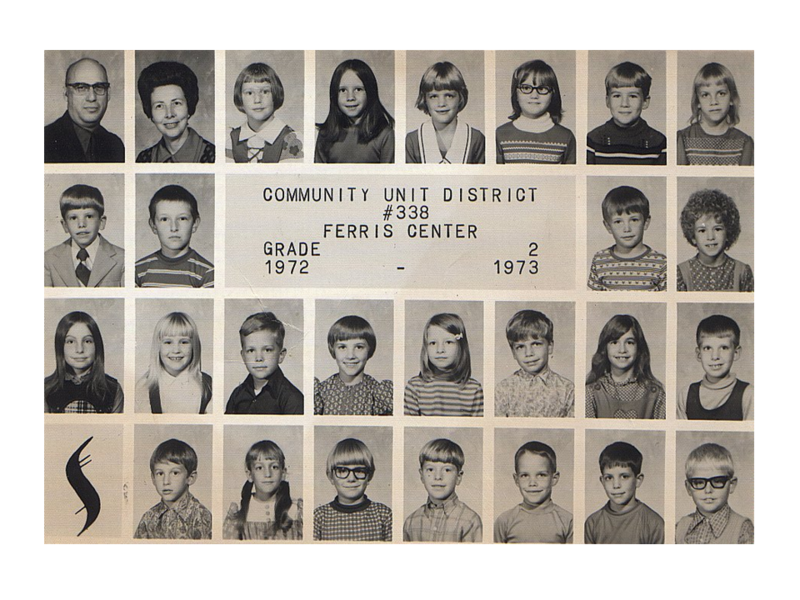 Our peers looked much like the students in this class photo. 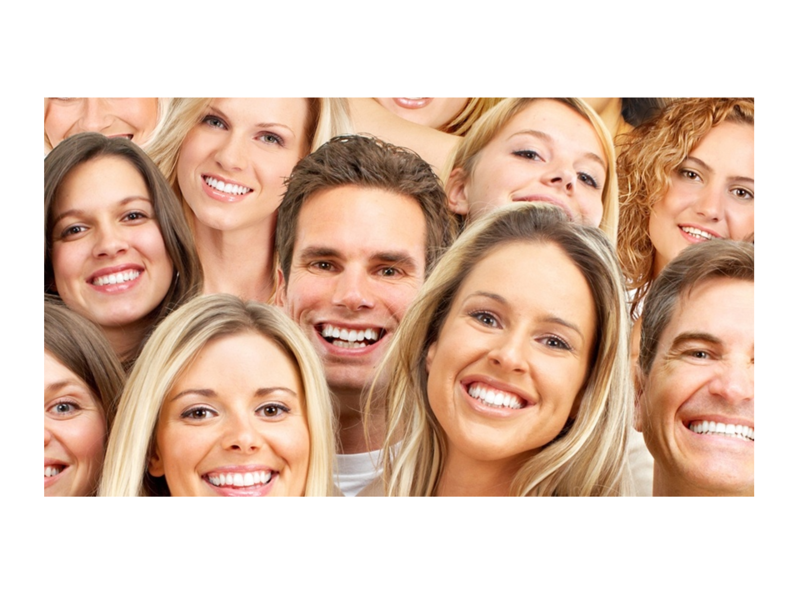 Note not one ethnic face. This was typical outside of cities. It was all WE saw, and they saw us as something totally different. Back then, there was little or no vetting of adoptive parents. 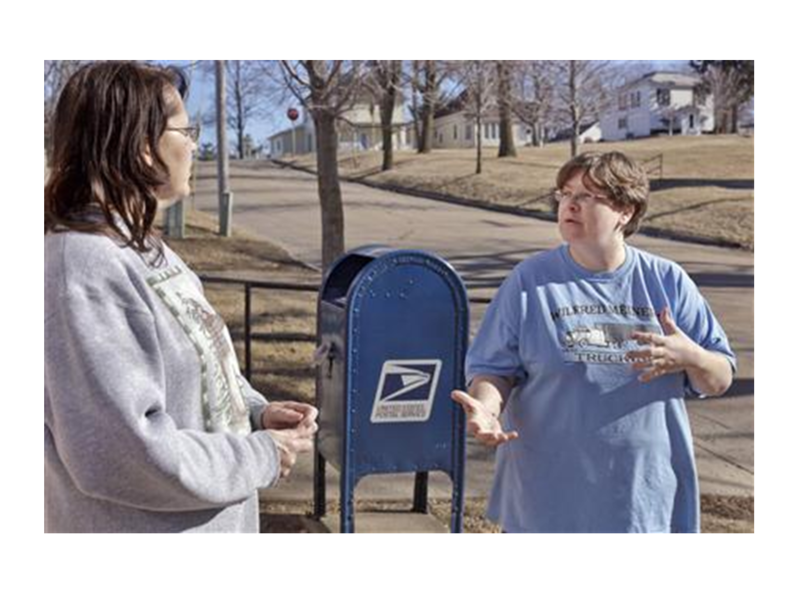 The only requirement was that they had an income, they professed to be Christians, and could get personal references. As a result, many of us were sent to religious extremists. Some were even sent to cults. Jim Jones adopted from Korea. 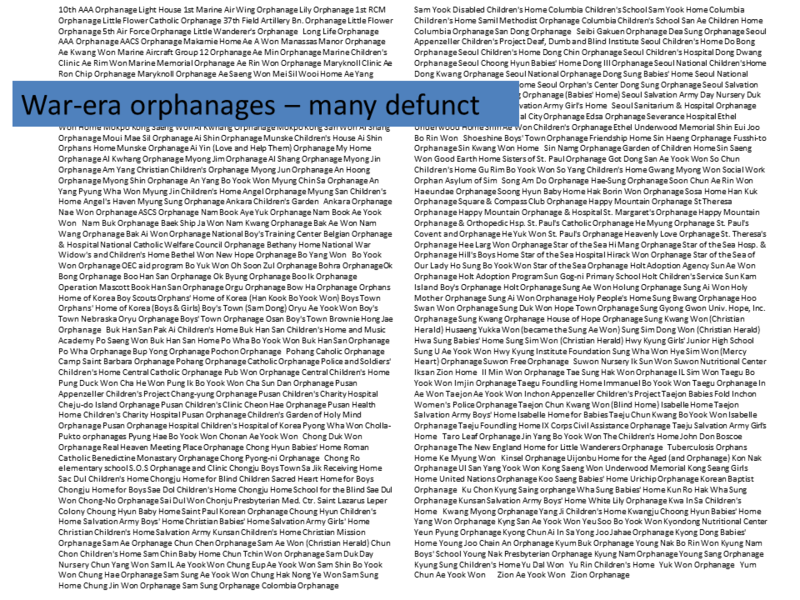 Adoptees sent to cults have told me of parishioners being encouraged to adopt as many Korean orphans as they could. They were exposed to cruel physical and emotional abuse. Other adoptees have told me of being used as farm labor and experiencing physical abuse. Our isolation allowed these things to happen without intervention. Because we were a minority, oftentimes the ONLY minority, we experienced a lot of cruelty. All adoptees have experienced some racism, but back then it was extreme. The year I graduated from high school, in a town near mine, Vincent Chin was beaten to death with a baseball bat by unemployed autoworkers, simply because he was Asian and all Asians reminded them of the Japanese stealing their jobs. His assailants got 2 years probation and a $3,780 fine. The climate of racism was a very real threat. And so we carried on as best we could, in our all white communities, with our all white friends, like this church youth group of the 70’s. Naturally, since this monoculture and monorace was all we were exposed to, IF we happened to meet an Asian, we were afraid of the way they looked and how to deal with them. 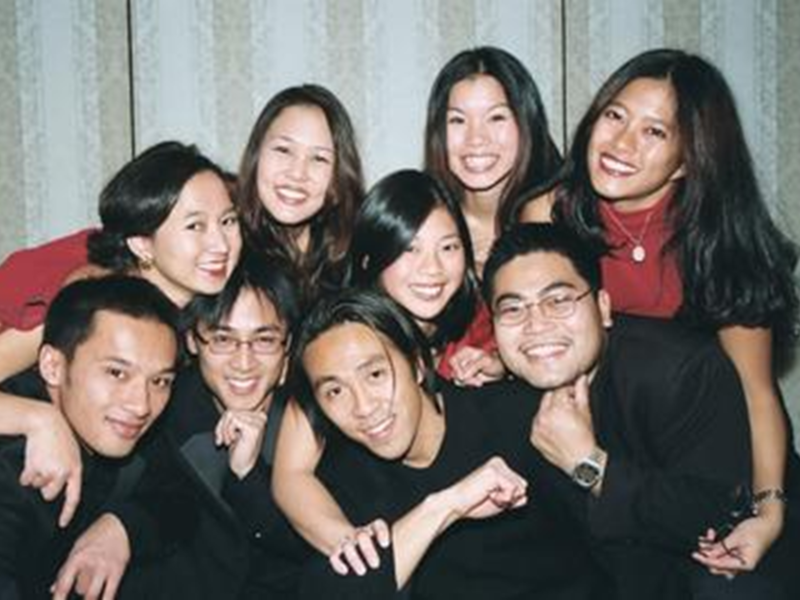 IF we saw other Asian youth, we noted how our community regarded them, and we didn’t want to be regarded the same way, so we avoided them. Even though we made white friends, we were aware that we never really fit in. Later, IF we saw Asian American youth and their tight communities, they seemed impenetrable to us. We never felt like we could belong to any of them. A lonely, scarey place to be. 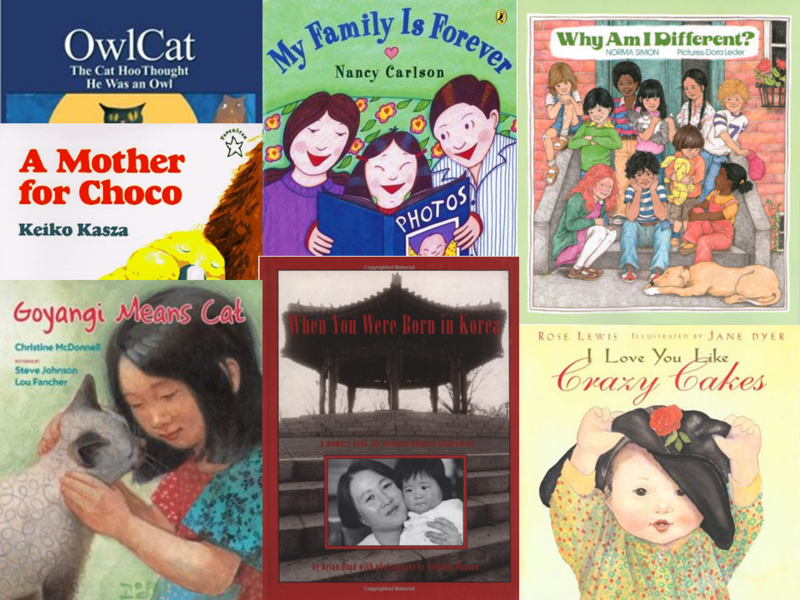 Growing up, there wasn’t any literature for children about adoption. Only about orphans. We didn’t have adoptee groups or culture camps either. 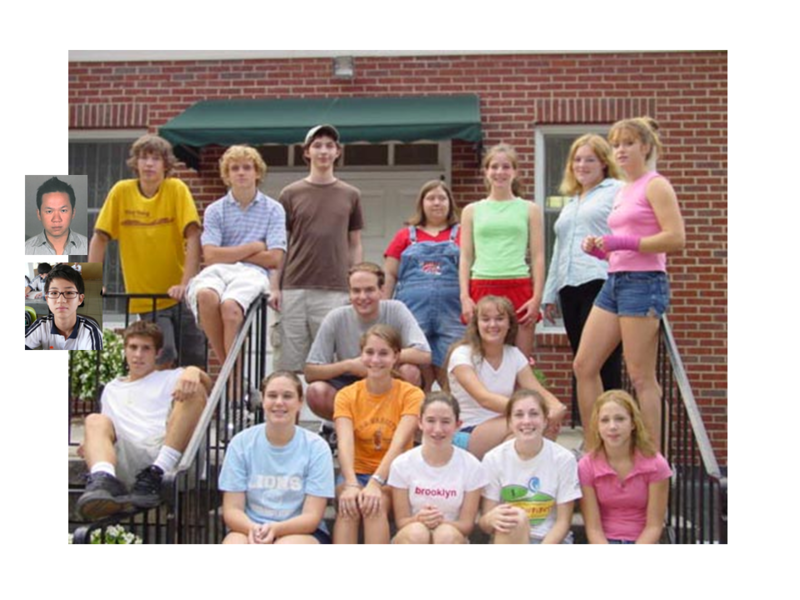 We had to deal with our uniqueness on our own, and we couldn’t (and oftentimes were discouraged from) talking about being adopted or of a different race with our families. We had to censor what we said so as not to appear ungrateful. The result of all of the above meant we had to suppress our feelings about what happened to us and how we dealt with being different/ being adopted. Isolating our inner selves became our way of being. Our isolation was complete due to the times and location. We barely use cell phone or computers. (we had no computers growing up and were late to accept technology. 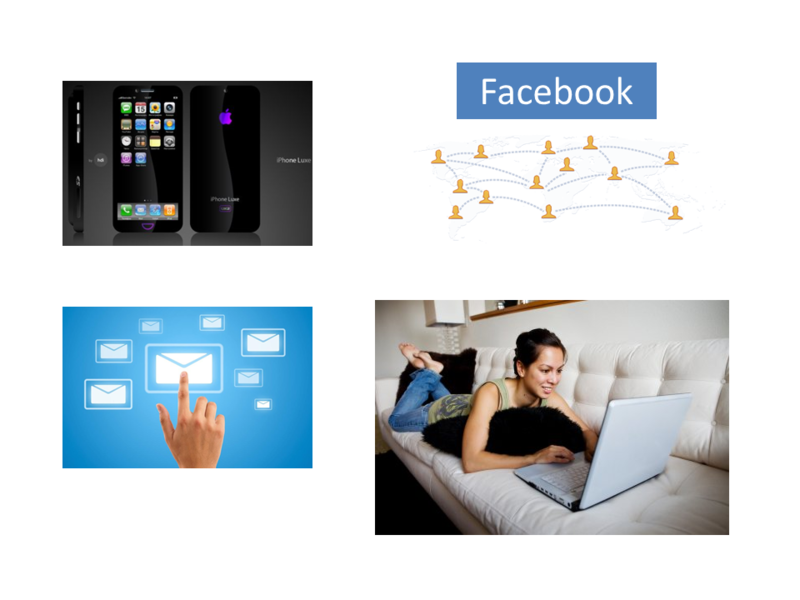 Very few of us use social networking. Many are just now discovering the internet. 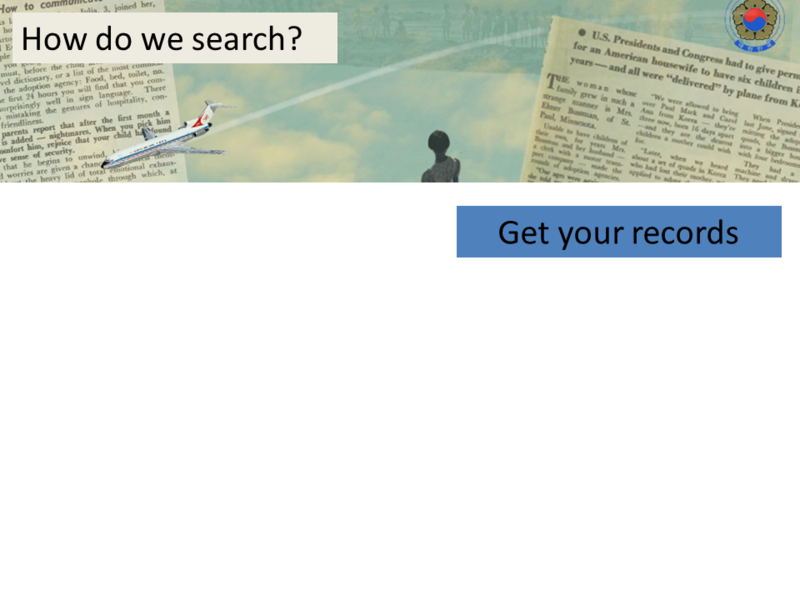 Searching for us is especially problematic. Because talk of adoption was off the table, many of us had to wait or continue to wait until our parents pass away. 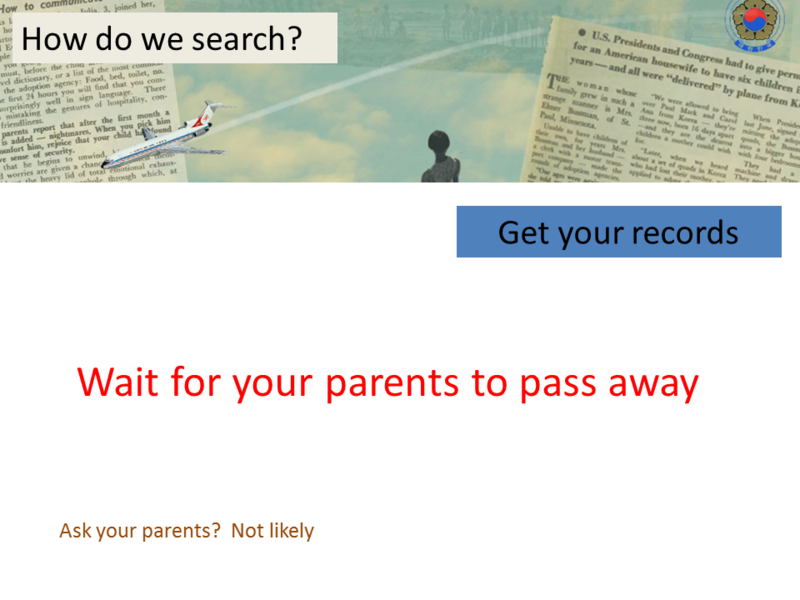 In my case, I had suppressed the fact that I was an adoptee so thoroughly that I didn’t even look at the files that were sent to me when my parents passed away. They sat unopened for years and I didn’t discover them until after I had later decided to search, having completely forgotten they existed. IF we finally recognize that our adoption is an issue that needs to be resolved, then finding out about our past enters our thoughts. For me, it took a personal crisis. By that time, we don’t know anywhere to look except the adoption agency we came from. 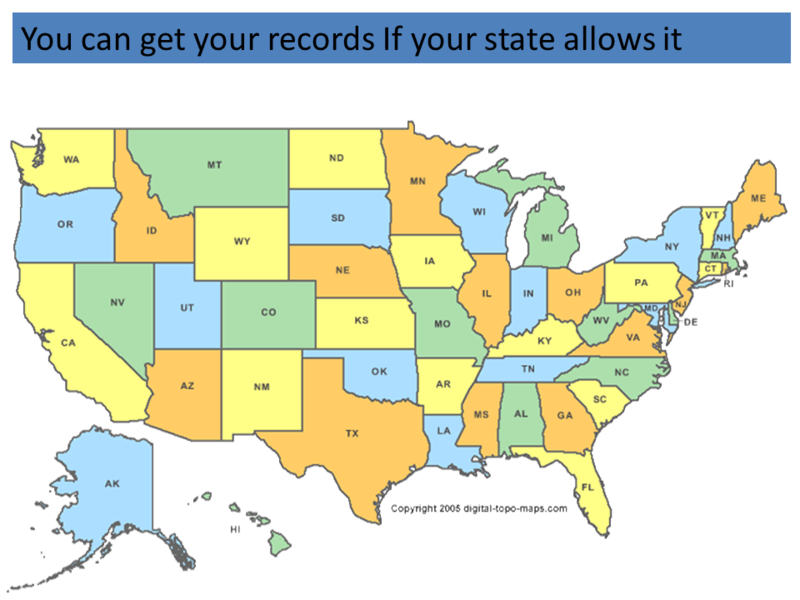 Then, you can only get your files from your adoption agency IF your state has open records laws. 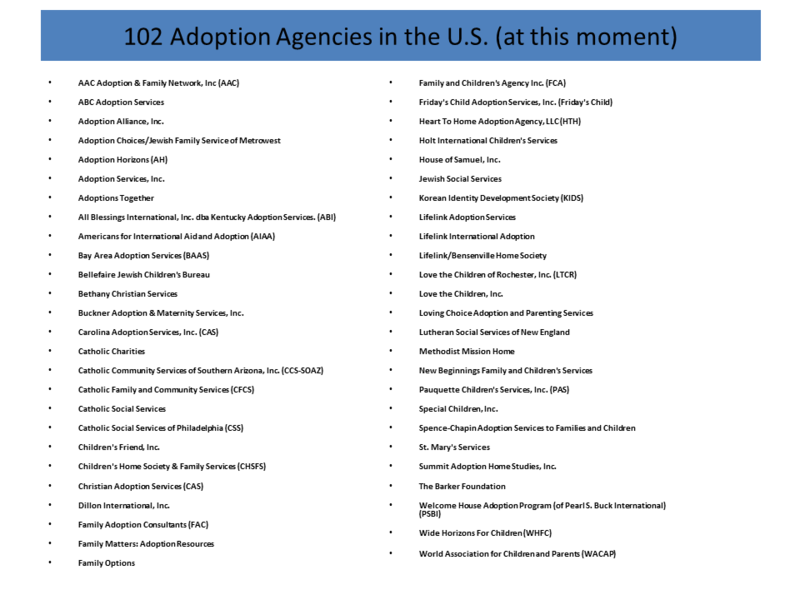 And/or, if you were not adopted directly from one of the major international adoption agencies, then you have to find out which one of them your local agency brokered with. 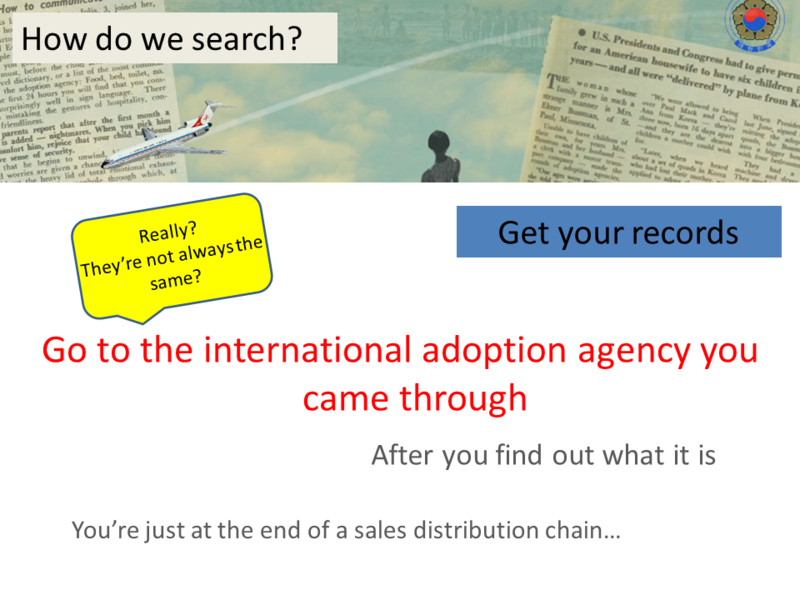 Then you find out that your international adoption agency isn’t the last word source for all your records, that there is another entity in Korea. OR, if you were adopted privately, you have to hunt down the lawyer who drafted your adoption, if you can find him and he’s still alive. Only then you might realize that your International agency is actually a “partner” of one of the four licensed Korean adoption agencies allowed to send children abroad. 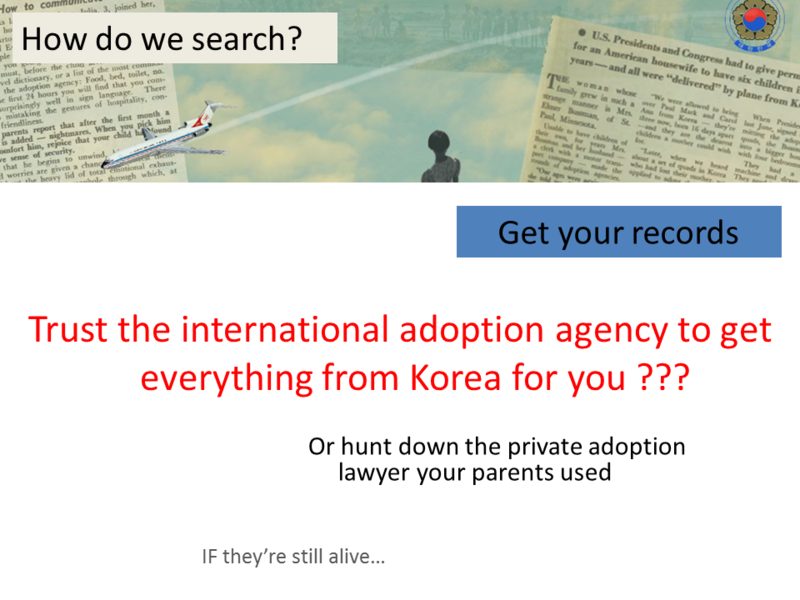 If, like me, the International adoption agency in your country fails to advocate for you, then you have to try and get your files yourself from one of the four Korean adoption agencies who are licensed to send children for adoption abroad. Remember, this is the older isolated adoptee who has grown up fearing Korea. Many older adoptees are easily dissuaded at the first setback. Because our cases are more likely to have irregularities, we are often more likely to experience arbitrary treatment or withholding of documents by the adoption agencies to save face and reduce public exposure to just how many mistakes and/or ethical violations occurred back then. And so, we are an especially vulnerable population. 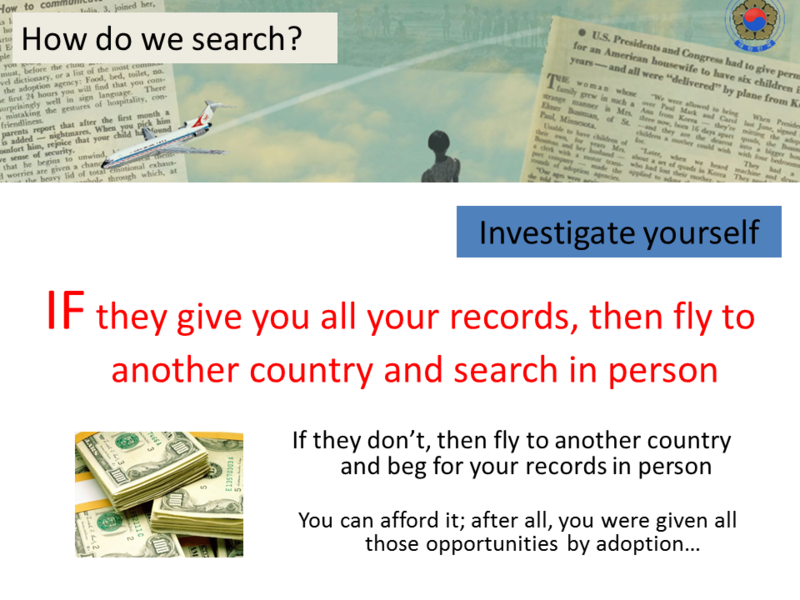 If attempts to get your information is unsuccessful from the country you were sent to, then a trip to Korea is in order to try and see if you can get more personally. Then, of course, if you are older the odds are smaller that any information which can lead to search and reunion will appear and if it does then you’ve not much time to search. Time is the older adoptee’s greatest enemy. Then you must take what little facts there are and investigate if there is some hope of local records or a person who can provide more information or leads. Unfortunately,if you are older, most of the orphanages do not exit. And many hospitals also no longer exist. Then there is always the option of going on t.v. Obviously, this is a confusing and arduous process. The Korean Ministry of Health and Welfare provides funding to adoption agencies and organizations to help us sort out the maze, but it’s often not in the adoption agency’s interest to help us. 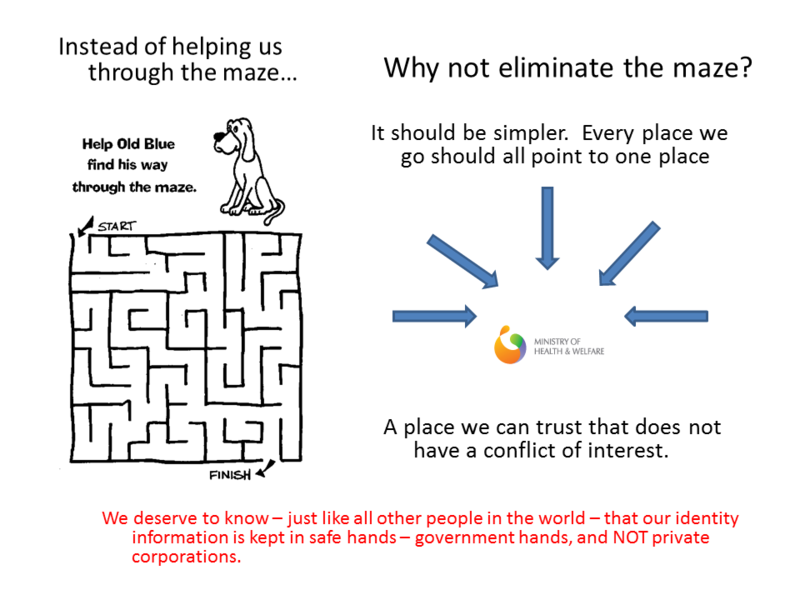 Instead of this maze, we need to have one central place where anywhere we inquire will point to. I was not born to the country of Holt, and my identity documents should not be in the hands of a private corporation. They should be in the hands of the country I was then a citizen of, who can protect those who want to remain anonymous just as well and who there is no doubt there is no conflict of interest. We are tired of being the victims of adoption agencies saving face for past mishandling of cases. We have no confidence in them. 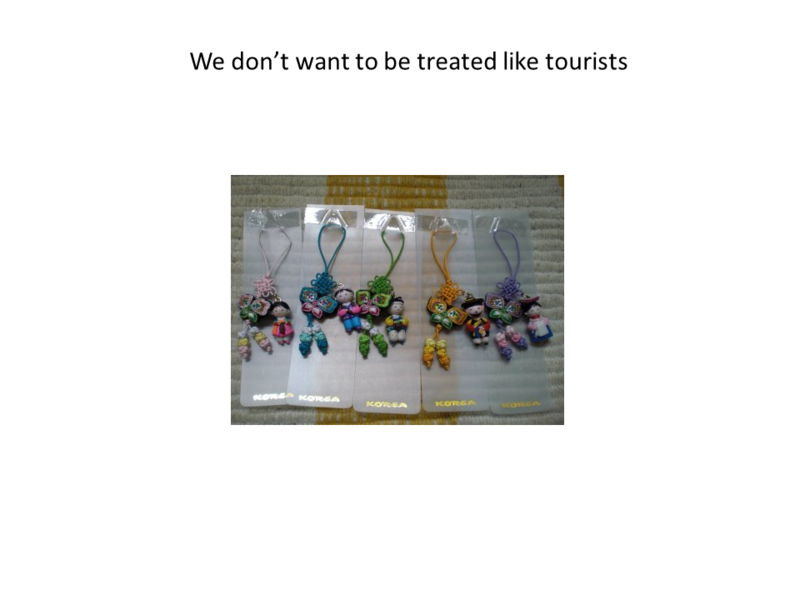 Now, when we come to Korea on this life-changing identity exploration, we don’t want to be treated like tourists. We don’t want the Korean government’s money spent on programs which give us such a superficial view of culture. Instead of pity, we would prefer sympathy. 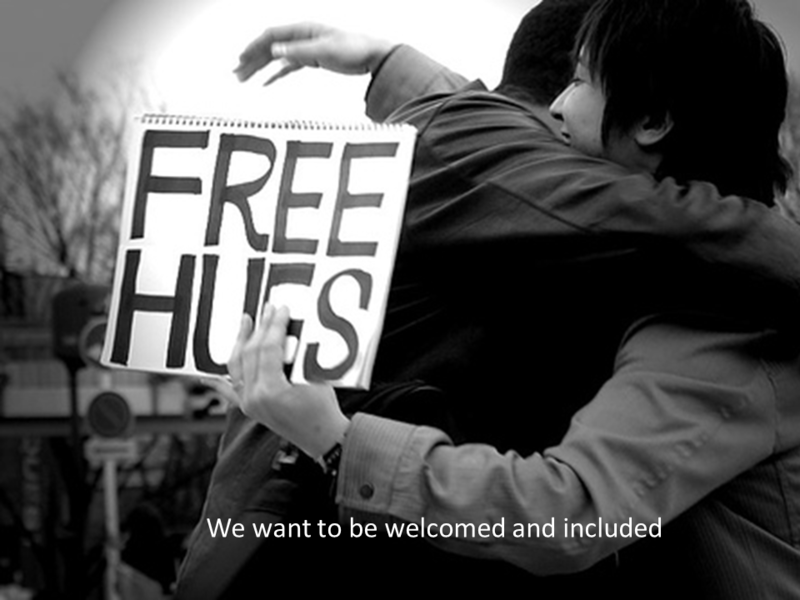 We want to be welcomed and included. 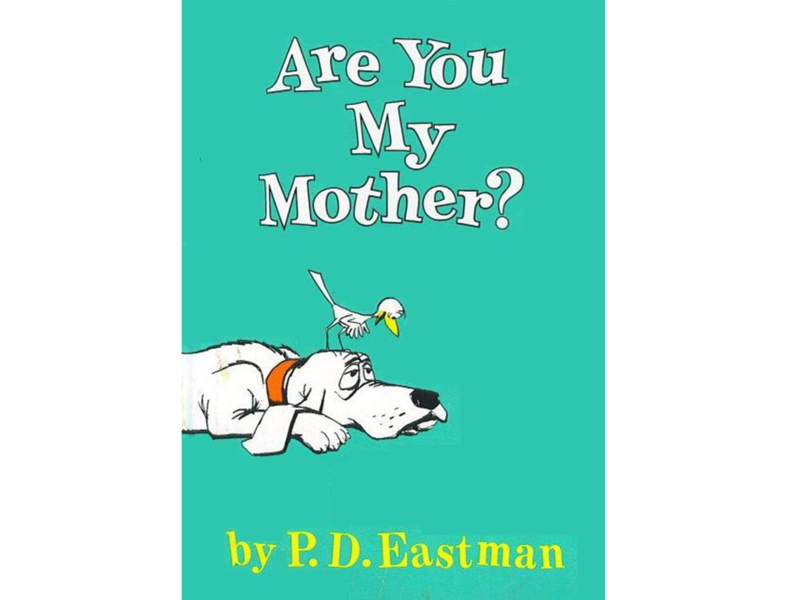 I also left copies of this wonderful dialogue that transpired between myself and the daughter of an aging adoptee, perplexed as to why her mother was so inaccessible when the topic of adoption came up. I hope it sheds some light on what peculiar creatures we can be at times. Next post I will go over my suggestions on how I’d like to see Post Adoption Services monies spent. Nice post! Did you grow up in Michigan? 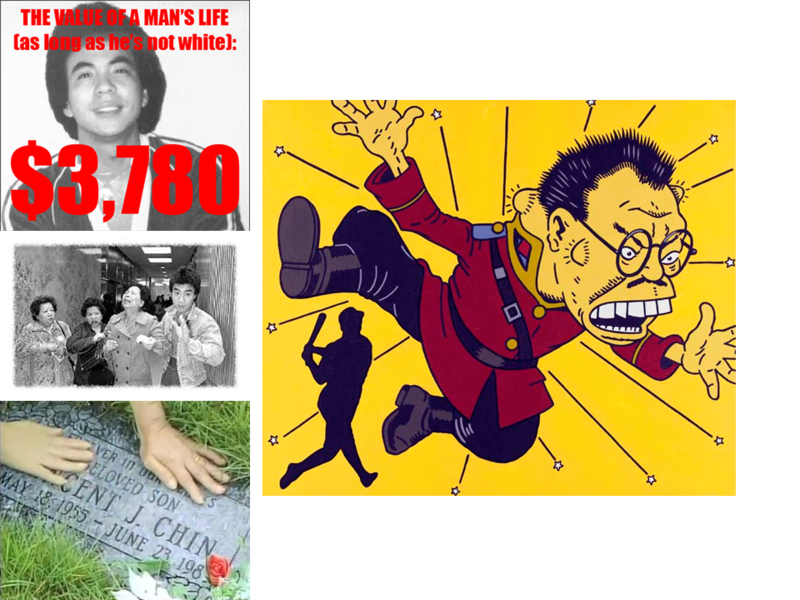 Not a lot of people know/remember who Vincent Chin was…especially outside of Michigan. I grew up in Oakland county. 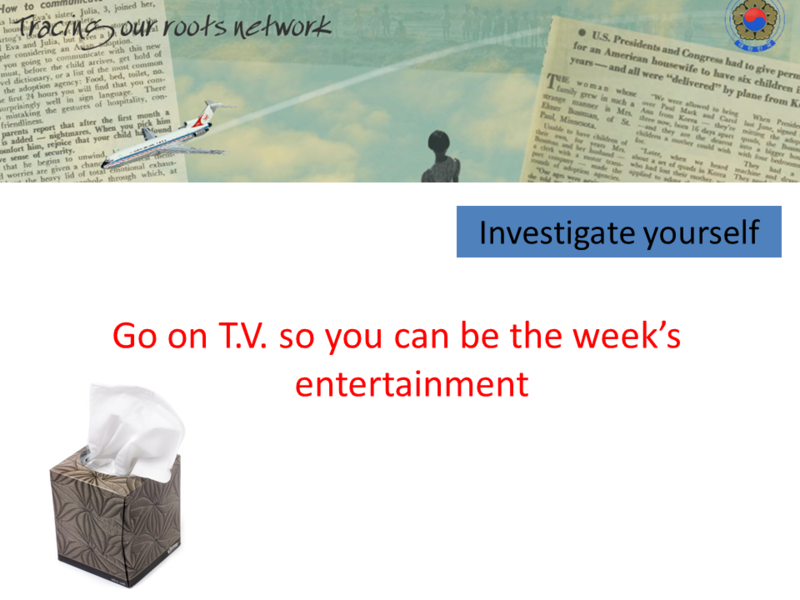 Great point about going on tv and being the week’s entertainment. I’ve known a few people who have gone on tv and they’ve all said the same goddamned thing. It’s kinda sad that after all the money we saved/made for this country, they have still found ways to monetize our existence. If you weren’t through Holt, were you through KWS or Eastern? I always found it amusing that when I arrived here, KWS’s main office was located in one of the wealthier parts of the city, surrounded by love motels. Yes. Outside of Detroit, in a red-neck stronghold called Taylor. Vincent Chin lived in Ferndale, I believe. Still Wayne County. My town was ESE of Detroit. I think Ferndale is a little N? Monetizing our existence is more criminal by U.S. adoption agencies charging us for post adoption services, which should be their responsibility and a part and parcel benefit due us for the disruption we experienced. Adoptees have had to pay upwards of $500 for their searches, and because they are not educated about the alternatives and/or because they are held hostage to the agency they were adopted from, they have no choice but to find a way to cough up the money. Adoption agencies fell under fire when criticized for this practice and many have reduced or eliminated these fees to adoptees for Birth Family Search to diminish negative press. Also, the larger broker adoption agencies like Holt receive funding from the Korean government, so they can no longer justify the huge fees they used to charge. Though they can cry that they don’t get enough money. But there are still a lot of small agencies who are not under such scrutiny and who charge unreasonable fees, upwards of $200. Additional making money off of our adoptions are the homeland tours offered privately by adoption agencies or organizations, which can be very expensive. The major adoption agencies have these tours and also culture camps. Again, which is subsidized by the Korean government. I feel it is a conflict of interest, as it controls the message and content delivered to the adoptee, and deals only with issues surrounding adoption that the adoption agencies can address which cast the adoption agencies in a flattering light. I was a Holt baby. I have been to the Eastern office but not KSS or SWS. Holt has 3 large buildings, one of which serves as a guest house. Holt even has its own travel agency…Now, I’m not sure if they make a profit from that. But it’s disturbing how full-service this humanitarian organization is for its international clients. It’s disturbing how money is spent that could be put to improving Korean society. And you know, the more and more I witness Korean society, the more I think that these social problems are Korea’s problems to solve. It won’t be solved perfectly, but this is hardly perfect either. 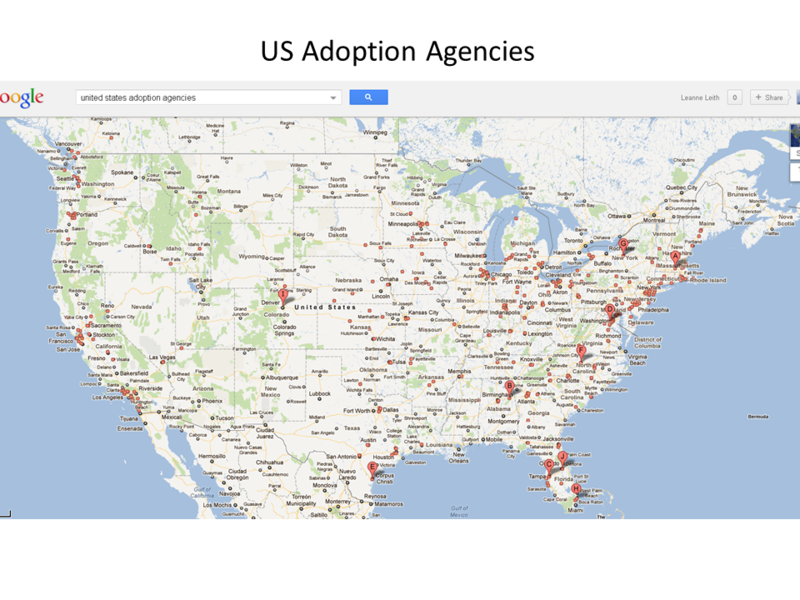 Thank you for the insightful look at adoption challenges in the US of A. Our Korean came to us at 4 weeks old in Seoul where we lived for a year. She grew up in Germany and now lives in the US. Her experience was positive for the most part and she is respected as an Asian and a nice person. 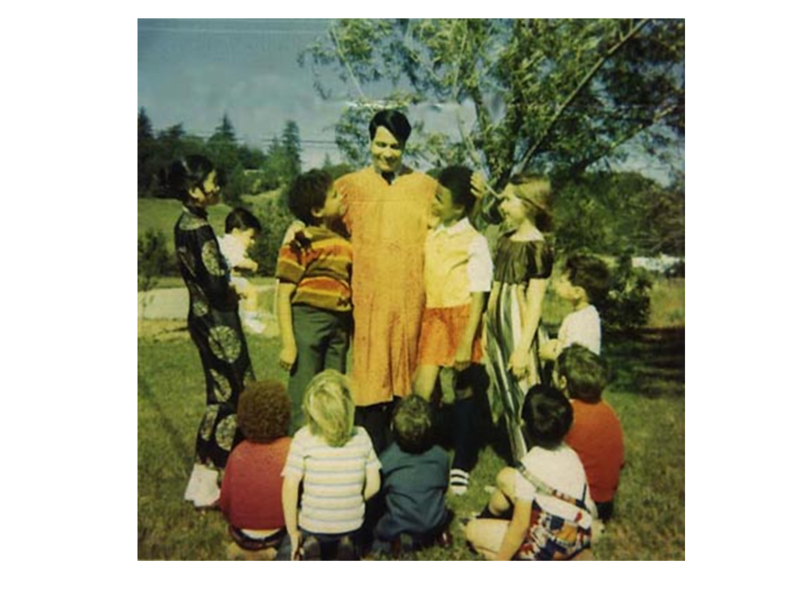 You are right, much has changed in the adoption culture since 1970. You know, it is rare when any comment on my blog gets my goat…but this last comment really got under my skin. For one thing, this post was not created as an ode to how the system is great now – because it isn’t. For another thing, this post was not created to validate your alternative method of adoption. For another thing, calling your daughter “Our Korean” is revoltingly, revealingly, disturbingly colonial of you. And lastly, I really really hate when adoptive parents think they have the license to speak for their adopted children about their experiences or to pronounce their judgement of whether the child was successful or not. I’m always amazed how much time adoptive parents spend on-line devouring everything adoption. They are so into it, it’s disturbing. And though I’m sure you really meant to thank me, your comment felt more like just a vehicle for a little narcissistic self reflection, which I absolutely don’t want to contribute to. The other way to look at adoption is – it’s amazing/criminal how little has changed in adoption culture since then. Thank you for sharing this – how unsettling but at the same time ressuring (if that’s the right word and I’m not sure it is) that you experienced so many of the things that I did growing up in pre-multicultural UK in the early 60s. London might have been swinging but the suburbs were by and large, conservatiely caucaisan. Racism was rife and very extrreme when I was growing up. I am aware of Vincent Chin but only after the fact. As you pointed out in your article technology is not widely taken up by Adoptees. When I was growing up the technology did not exist. So I was even more isolated – evenif it had I’m not sure that at that time it would have helped or I could have taken advantage of it. “girl4708”. 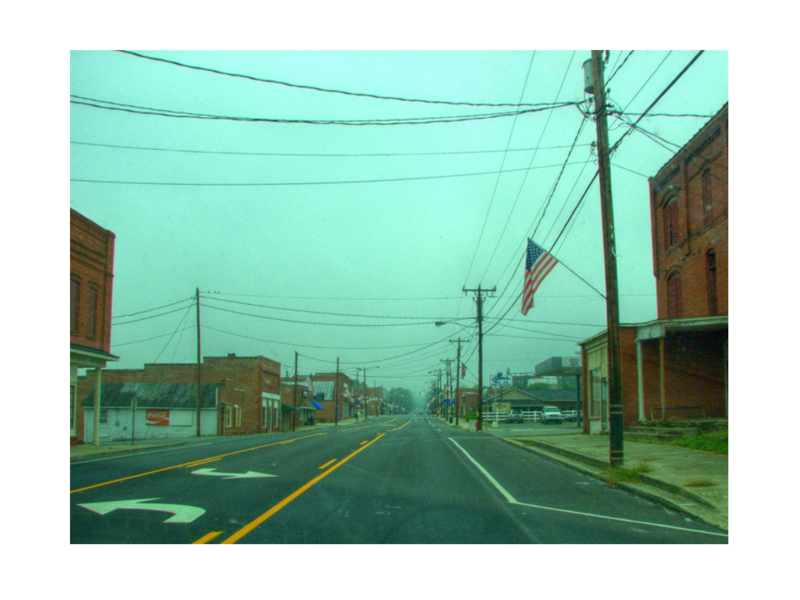 I grew up in Taylor as well. i attended Clarence Randall Elementary, West Middle School, and Truman High School, class of ’02. My childhood memorioes are painful. I was definitely the “other.” Reading this page, I found I share many of your same feelings and emotions – especially pain. Thank you for sharing yoru story. Doesn’t surprise me that 20 years later, it hadn’t changed much…In a bizarre twist, I have a strong affinity for the more gentile aspect of hillbilly culture – a warm spot in my heart for those who love velvet Elvis paintings (and not for their kitsch factor) and the mythology of working class heroes. Glad you survived and that you found solidarity here. I was reading your “about” section, and learned of the name you were assigned early on. I was told my birth name was Suh Na Ree, When my parents renamed me, they decided to make my middle name Suh, though I later discovered we had been mispronouncing it my entire life. Your info made me wonder if I should begin to question the validity of my birth name. I hope someday you are able to find the truth behind your name, and agree that Taylor is no place to send an adoptee. I was asked recently by one of my sister’s friends to provide some insight on the adoptee experience. She was contemplating a Chinese adoption and since I was the only token adoptee she’d ever known I got asked. I poured my heart out. I built a strong case against adoption, as I have known her for quite a few years and I know that she does not understand that it’s hard being Asian American, even in this day and age. I felt like she didn’t even hear a word I said, as she announced to the whole world on Facebook one day that she is saving a baby from China. I cried that whole night because I felt like I failed that child. I hope he/she does not grow up feeling the way I did. If so, God help that child. Stopping by after not reading for awhile….I am honored that you included our exchange in your presentation. I just wanted to say that I am floored (in a good way!) by the change that you have undergone in your attitudes towards advocacy/your role in the adoptee community. While all wounds won’t heal, or scab over for that matter, I am so happy to see that you seem to have found your voice, role, whatever you want to call it, one that doesn’t eat you alive. I truly think you have the right ideas and am glad that there are people out there doing what you do. This blog has been a great resource for me, but more importantly, for others out there in diasporaville. Sorry I didn’t reply to your last comment – must have got distracted by something. I totally get you. People who adopt rarely really want insight from the adoptee’s perspective. They only want validation for what they want to do or did, and will shop around until they find all the people who will give it to them. It’s like lying with statistics – try hard enough and you can always find make proof for your argument. So you can’t make yourself responsible for their selfishness or their actions. You did do what you could. They will do whatever the hell they want and they won’t listen. I think these kind of people are the worst kind of people to adopt – the ones who blindly pursue what they want with little regard for anything else and who manage to later insensitively steamroll over or manipulate their adoptee’s feelings. But, unfortunately, that’s the catch-22. Logic dictates that the most critical thinkers have serious reservations. These are not the people who adopt. We get the ones who have savior complexes. We get the ones who want to replace the babies they’ve lost. We get the ones who want to look globally responsible more than they want to be responsible for the feelings of a little person who has no choice. BUT, take heart. Sometimes people inquire and they actually do want to know your perspective and sincerely consider it. It just takes one person actually listening to make the effort of the previous twenty attempts worthwhile. It IS draining, though. Do it on your own terms, and only when you have the strength and energy. I think our exchange was really what the adopting/adoptee world needs to hear more of, and I will share it at any opportunity. It was my honor that you came to me for my insights. Honor like that, well, it engenders mutual respect. Expressing oneself after years of suppression is therapeutic, and a trend amongst adoptees. However, because we want to change people’s minds frustration builds until our voices are shrill. But the point should not be whether to win or lose or change others: the point should be to learn about each other, and by doing so change just naturally occurs. What pains me about these shrill voices is that the effort hurts the speaker more than anyone else. It was always my intent to come here and get better, because I was a mess. I tried a lot of remedies. This one works for me, and if it’s helped others by proxy, well, that is more than I could have ever asked for.